A political race against time, life, and death in the nation's capital. 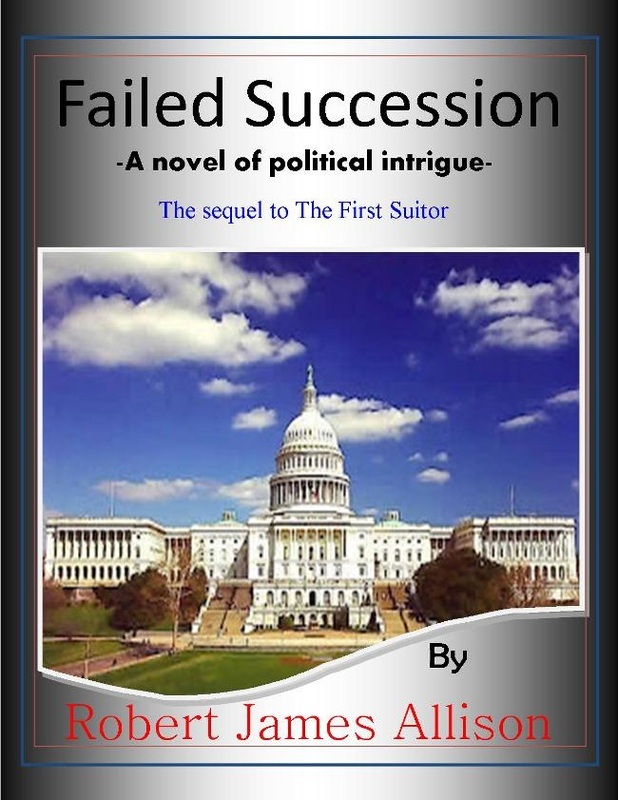 "Failed Succession" is the long-awaited sequel to "The First Suitor". Jack Allen, now married to the President's daughter and still the lead trouble-shooter for the National Security Administration, is back and he has a problem. Jack has happened across some data on the White House Chief of Staff's computer that indicates someone may have stolen the last U.S. Presidential election. When Jack delays in turning over the information, because he isn't sure how high the plot goes or who in government is involved, fate turns the finger of suspicion toward him. He soon finds himself on the run while trying to clear his name and bring the real conspirators to justice, but his family winds up in the cross hairs. Kindle, Kobo, Nook, and Apple or use the Smashwords link to purchase in formats for other digital readers.